This year, I have made a conscious effort to diversify my angling skills, spending less time targeting Bream and challenging myself chasing other species such as Bass, Trout, Snapper and Jewfish. My decision included spending less time in the boat and more time on the bank on foot, or in the kayak. By doing this, I wouldn’t be driving ‘over’ the fish in the boat but rather forcing myself into honing the basic skills required to lure the fish swimming within casting distance of my feet. 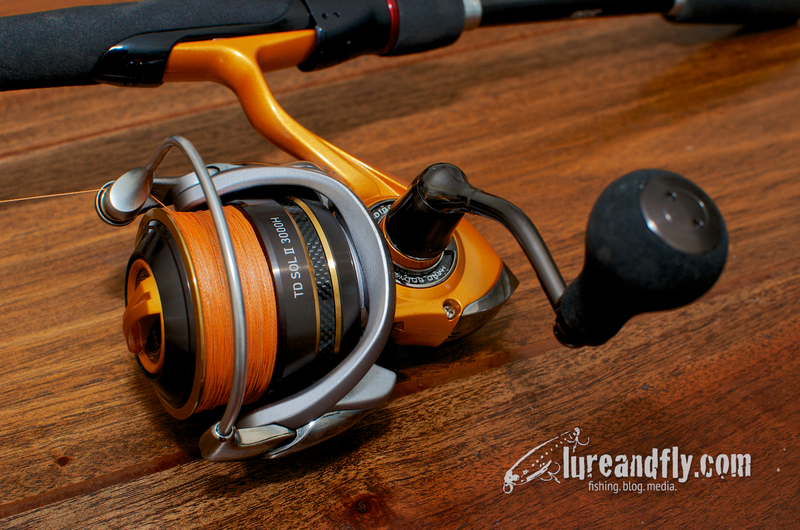 The Sol II 3000H is a reel that I recently added to my collection with the intended use for Snapper and Jewfish. Before the 3000H, when I went Snapper fishing I was equipped with my Caldia 2500 and a Caldia 2000, and quite often I felt quite undergunned with the 2000. Not, that it didn’t catch fish, but a reel with a bigger spool capacity and greater drag capacity would give me a little more confidence in the event I hooked that trophy Snapper. 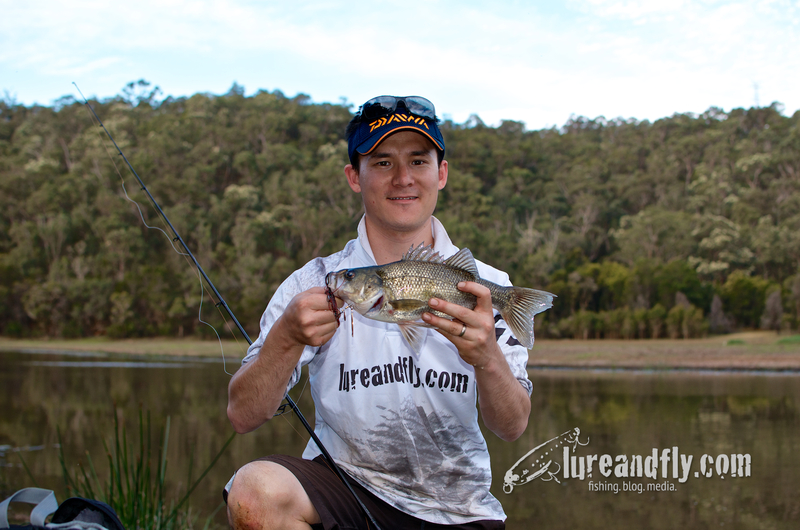 I’ve had a relatively successful start to the Bass season, with most of my sessions on foot. 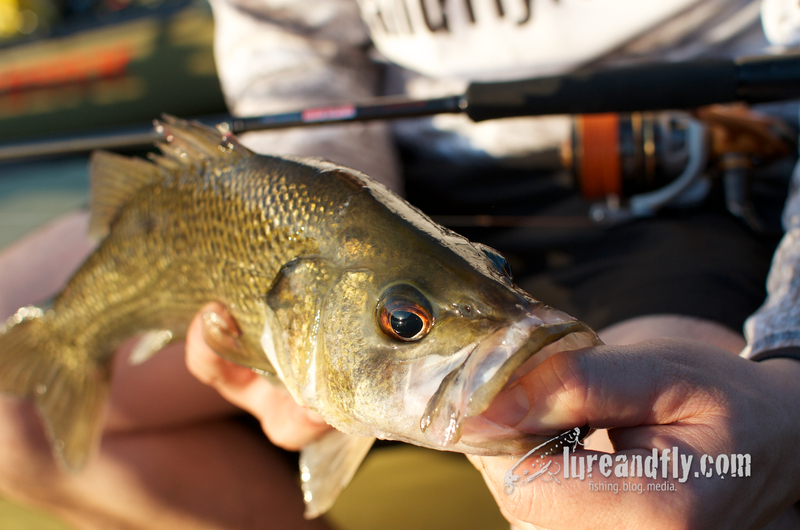 It has been a warm start to the season, the cicadas and other insects have been out in force as well as the mullet and baitfish which are plentiful in the creeks; because of this the Bass have generally been fairly active in their feeding and very willing to take top water lures such as frogs, cicadas and mice. Yes that’s right, mice! Fishing top water lures is as much about the action you impart on your lure through your rod movements as anything else, and more often than not there are varying degrees of ‘belly’ in the line while you are working the lure across the top of snags, lily pads or weed. As I have found with the top water Bass, landing or losing that fish is quite often determined in the first few seconds of the hook-up. Top water presentations target the active and aggressive fish, this means that when they are hooked, lying down without a fight isn’t an option for the fish. In those first few moments, striking and turning the fish away from the structure is critical. 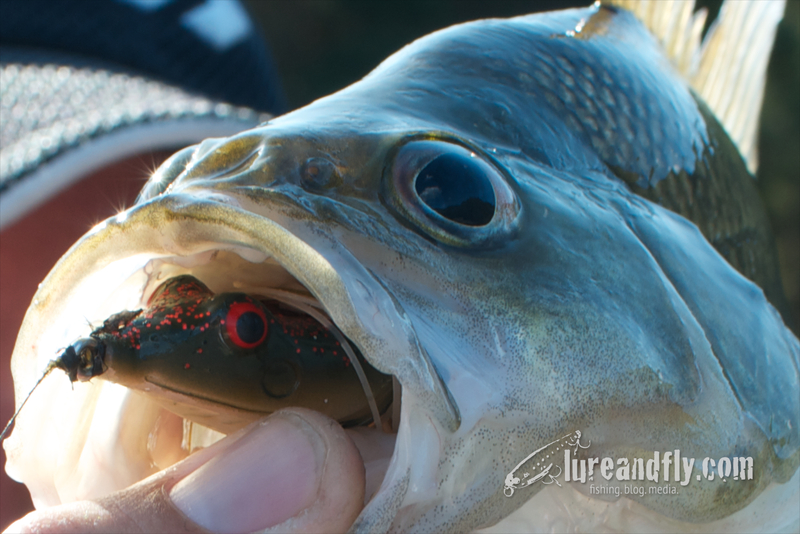 It only takes a split second for the fish to take your lure, turn and have you buried. This is where I have found using the higher gear ratio Sol II 3000H has been more successful than my other Caldias. With a gear ratio of 6.2:1 compared to the Caldia’s 4.8:1, the Sol retrieves line significantly quicker (105cm per handle revolution compared to the Caldia’s 71cm), giving me a better chance to set the hook and turn the fish before it has a chance to earn it’s freedom. The Sol II is an awesome reel, so much so that I have added a couple more to my collection this year. They are equipped with all the standard Daiwa features and aside from gear ratio, the Sol II only differs to the Caldia by way of an EVA ball knob on the handle, an additional 2 ball bearings and is constructed of Daiwa’s advanced engineered Super Metal Body that contributes to approximately 35 grams extra weight for equivalent sizes. To be honest, I’ve never really paid a great deal of attention to gear ratios in reels. I’ve been well aware that you can purchase reels with different ratios and the reels I have owned have had different ratios. Despite this, if needed, I would adjust my fishing style to suit the reel, slowing or speeding up my retrieve to allow the lure to move through the water and present itself. For me it is one of those things I could have been told over and over, but without experiencing the results first hand, my ways of thinking probably would not have changed. 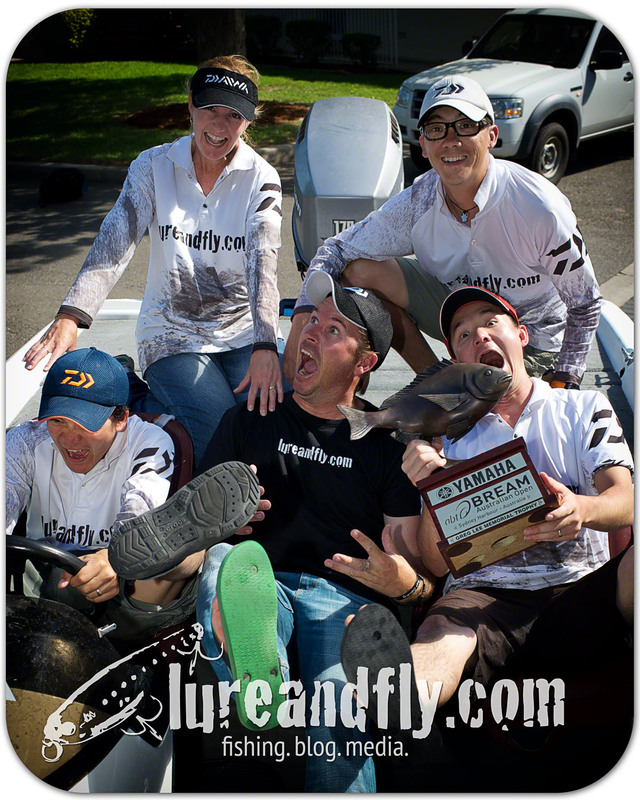 Hi Sam, I’ve been using the new Team Daiwa Battler Thunderstorm for my bass fishing. looks like he’s got it on a Battler from the photo but can’t be sure as the logo is a bit blurry. Pete, you’re correct, a new Battler it is. I was looking at one of these to match up with a Black Label Technical 6’10” 5-12lb for the racks around here. Do you think they’d match up well? Definitely think that these reels would be up to the task. You just have to keep in mind that you may need to slow your retrieve down quite a bit.